From the desk of Dr. Justin…….. I hope everyone is home and staying warm through “Snowmageddon 2015.” After finishing my first week at Coolsmiles, it seems like a great time to share some thoughts. In my search for the perfect opportunity, I had visited several orthodontic offices all across Long Island and found that Coolsmiles exemplified excellence from top to bottom. I feel EXTREMELY fortunate that this is the practice that I now get to be a part of. From our concierge and our clinical staff, to our treatment coordinators, the Coolsmiles team would absolutely be in the Superbowl – if there was one for orthodontic offices! The staff is always smiling and happy while ensuring that our patients are not only comfortable, but also entertained, during their appointments! Christina really rocked that Phil Collins drum solo this week on Disco Day! Way to go! As a young orthodontist, I could not ask for a better team to work with. 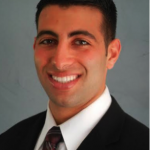 Dr. David has clearly established himself as one of the best orthodontists on Long Island, by winning the Bethpage Award for a second year in a row. After 37 years of private practice Dr. Leon is still as diligent, vibrant, and FUN as ever. Dr. Boris has been extremely helpful and accommodating and is one of the most positive people I have ever met. I would like to thank all of the patients and families that I have already met. Everyone has been extremely warm, fun loving and welcoming. I look forward to meeting all of the Coolsmiles patients and families! Dr. Justin…looks like we have started with Coolsmiles together…thank you for being so patient and amazing with Jenna yesterday. She isn’t the best patient but did great yesterday..she looks great and has not complained once. Great job!!! Thank you so much!